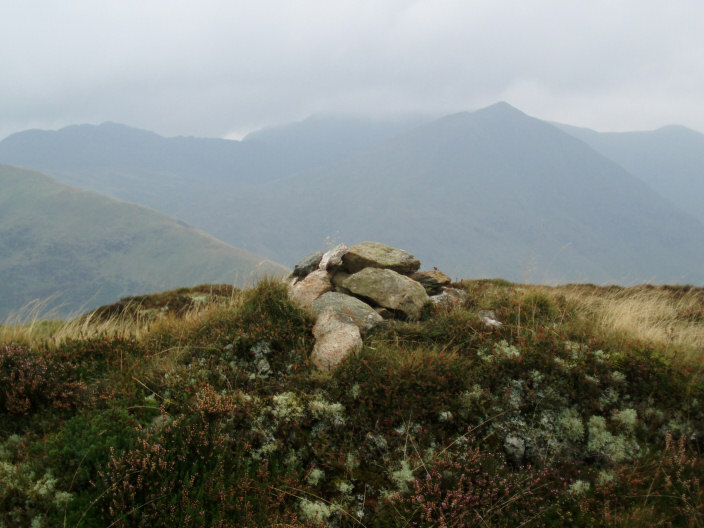 After the overnight thunderstorm most of the tops around Glenridding were still covered by cloud when we set out, so we expected little in the way of views and weren't even sure if the tops we were visiting would remain cloud free. The cloud base however seemed to climb with us and so we were treated to a day of ever improving views with the walk finishing in glorious sunshine. Weather: Low cloud to start, lifting during the afternoon. 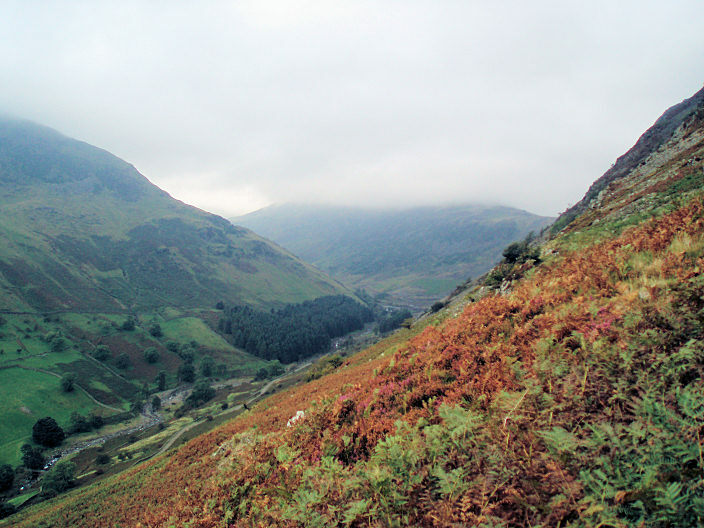 Looking towards Raise, covered in cloud, from the steep climb to Glenridding Dodd. 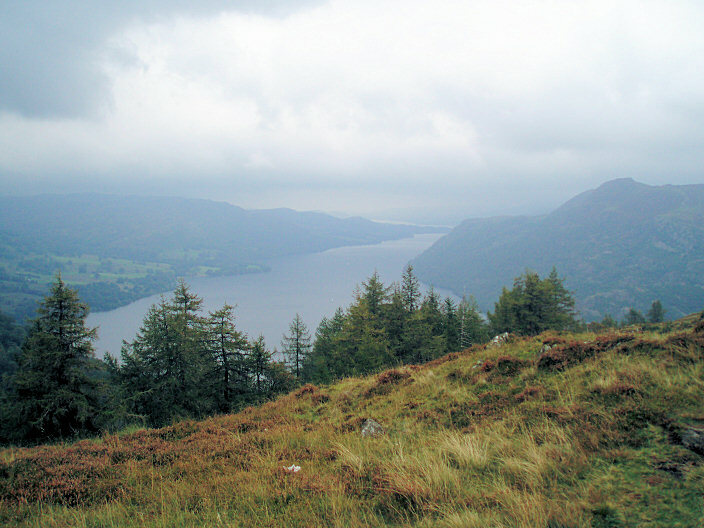 A misty view of Ullswater from the summit of Glenridding Dodd. 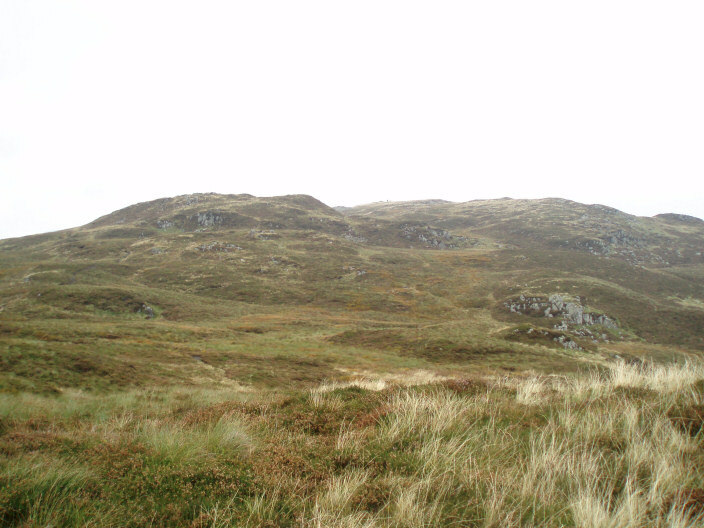 The cloud is starting to lift and Birkhouse Moor comes into sight. 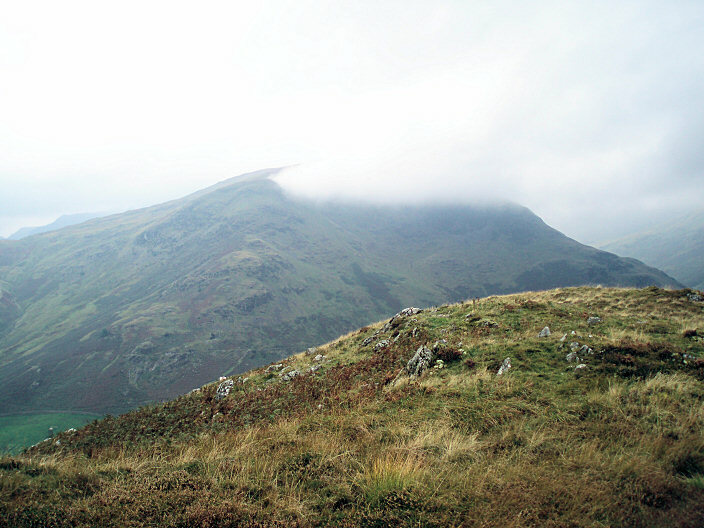 Heron Pike from Glenridding Dodd with Sheffield Pike still in cloud. 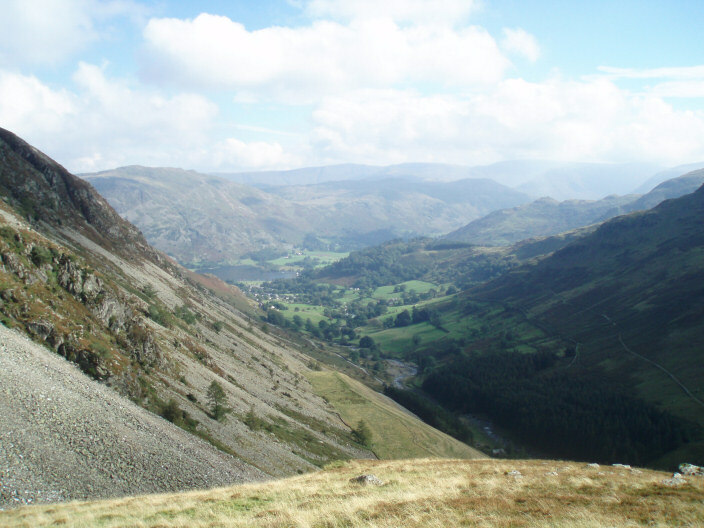 Glenridding comes into view, with Keldas behind and further back Arnison Crag is also visible. Lower Man visible behind it. To the right of Lower Man is White Side, with Raise on the right of the picture. 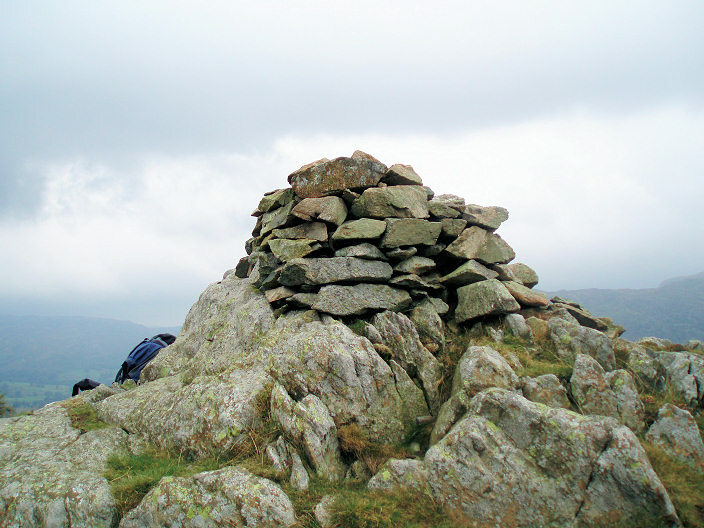 The summit cairn on Heron Pike with Helvellyn's summit just starting to emerge from the cloud behind it. 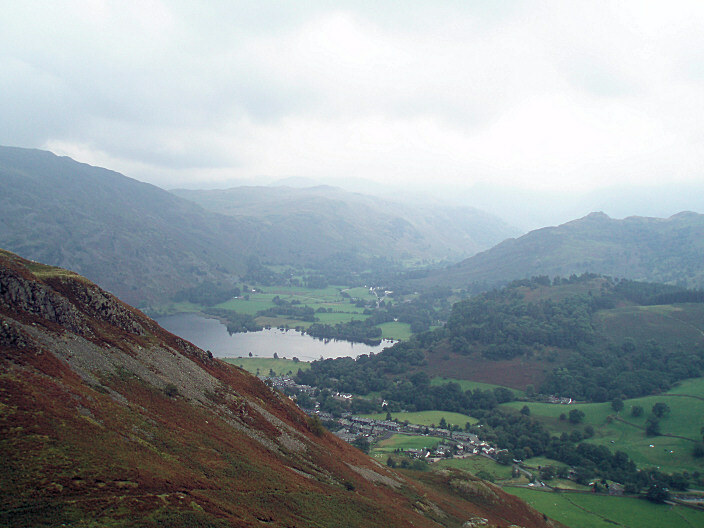 Looking down on Glenridding Dodd with Place Fell behind it, from Heron Pike. 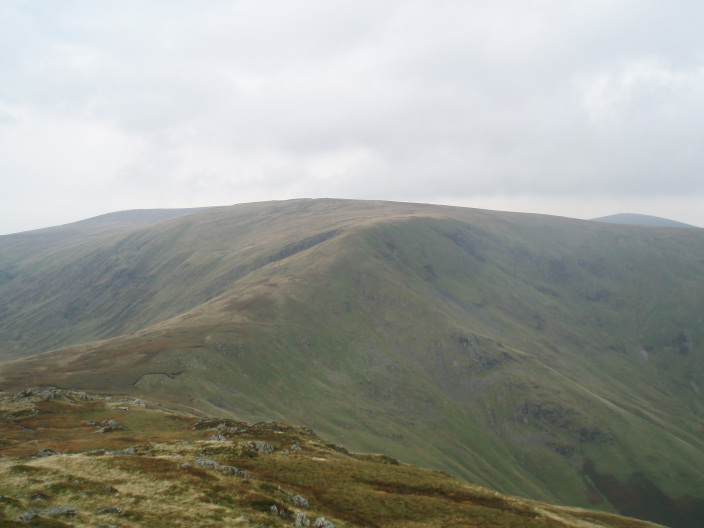 The route to Sheffield Pike from Heron Pike. 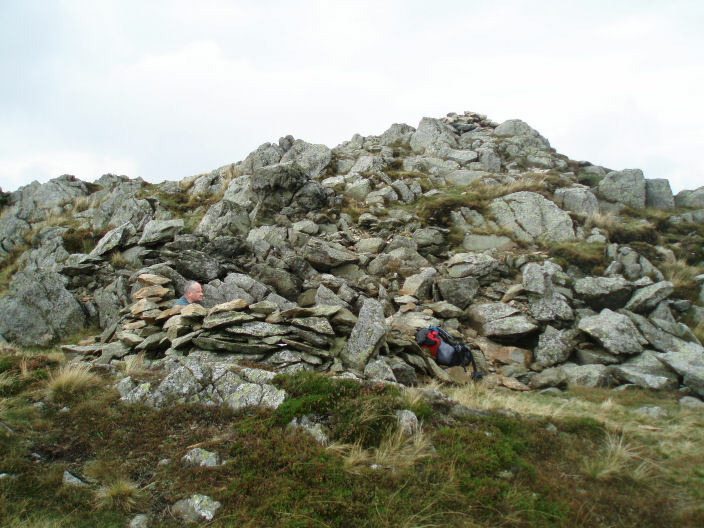 Sheffield Pike's summit cairn and shelter. 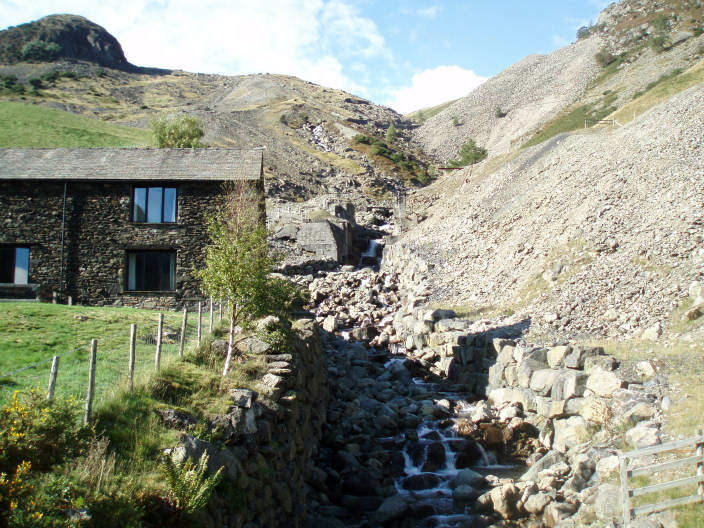 Glencoyne Head and White Stones. 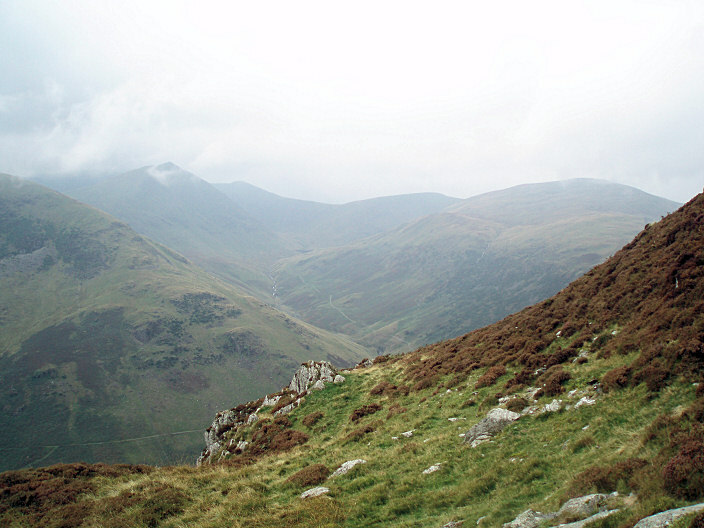 High Street is now visible behind Place Fell (centre left) and Angletarn Pikes (centre right). Looking up at the old mine workings at Swart Beck. 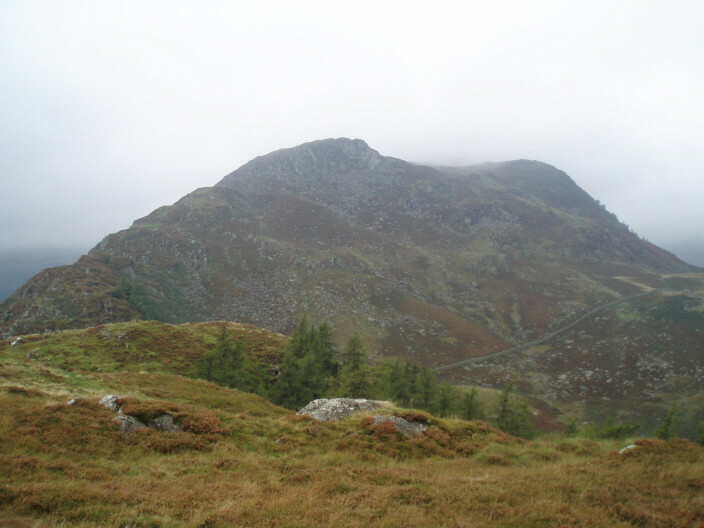 Heron Pike (L) and Glenridding Dodd (R) as we head back to the car.